There’s a fine art to pushing in. The brush strokes are firm and cubist, there’s a certain abstraction to this art – it’s bold, it’s seems rude, perhaps it has a provocative edge to it. It’s hard to understand, but there is a message underneath the colourful madness of it all: we will all find our way. That is, we will all find our way through the dank office that is the border between Cambodia and Vietnam. Make it through we did, brazenly paddling our way through the crowds of short, well-dressed artists and showing our hidden talents: when satisfactorily inspired, we can push too. After celebrating with the other gentiles of whom there were none and without any champagne to aid us, we rode in a rather ballsy manner into the flat and uninspiring landscape ahead of us without any dong at all. Yes, we’d forgotten to get out any Vietnamese currency (dong), and so looked lovingly at the various colourful, neon and enormous signs along the road advertising their delicious ‘pho’ (noodle soup) wares without any dong to be able to satisfy our desires. Twenty kilometres in, a small rambling town unfolded itself in front of us and after following a generous Vietnamese gentleman to no fewer than three ATMs, Al used the fourth just down the road to gather the required phallically-named cash moneys. We paused at an innocent looking shop, flashing her ‘pho’ delicacies at us and had our socks well and truly blown off. With three bowls of steaming hot mint- and chilli-laden noodle soup under our belts, the remaining kilometres into the belly of the Capitol’s beast were a breeze. Twenty or thirty kilometres out the density grew thick and rich, replete with bustling late-afternoon activities: we passed ladies bent with their load carried on heavily-lumbered bamboo planks, their shoulders mountains and valleys which had been carved by the weight of whatever was on offer (fruit, pots and pans, cauldrons of soup and accompanying portable fireplaces – I kid you not). There were men pushing rubbish carts with wheels groaning and protesting at the gravel on the side of the busy roads, there were women riding converted tricycles (perhaps once designed for enjoyment but now complete with cabinets full of food) as well as carts equipped with fry pans and gas cylinders… portable restaurants! The outskirts were heavy with children, playing, riding bikes: two, three or four on the one steel-frame steed, running home from school, flying kites and milling around street corners in dichromatic school-age gangs. 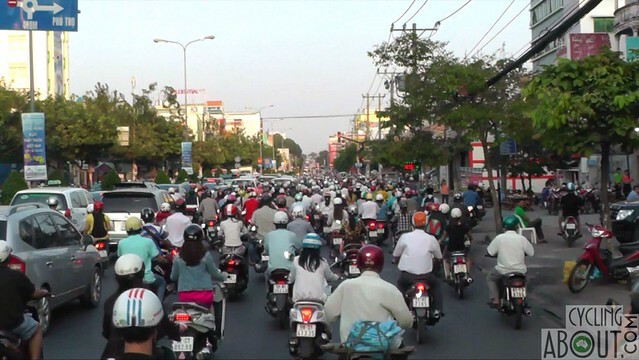 A sea of motorbikes in Saigon! Suddenly, we were riding our purple wave in an ocean of motorbike- and scooter-riders, tens of thousands surrounded us as far as the eye could see (sea!). We washed along with great comfort at the distance cars, trucks and buses were kept from us: the lanes are segregated and it was perfect. Crowded concrete was our birth into Saigon and there was no escaping it. Alee followed our friend Matt’s perfect directions to a T, literally the T intersection we went left (or rai-chai in Vietnamese) at and ended up where Google maps denoted Matt and Diana’s house was; TanNayNay signalling our presence. Unfortunately we weren’t in the right place for our 6:30 meeting with Matt, but fortunately we were found. First by a young Vietnamese woman named Lan who took us under her wing and admired our bike as we did the same to hers (a mint fresh Canondale mountain bike). She was super sweet and offered to wait for our second finding, which came within minutes: Matt strolled up, as warm and engaging as we’d remembered from our chance, week-long rendezvous in Uzbekistan all those moths ago (read about it HERE). After hugs and high fives he sliced us at the sides with his knife-sharp wit and we were home and happy, bleeding our enjoyment profusely. We swapped details with Lan before heading around the corner to Matt’s home’s actual location and there was the ever-gorgeous Diana, ushering us inside and doting on us immediately. Diana is one of those old souls who knows how to ask the right questions at the right time and at this time it was simply: ‘if you could have any drink right now, what would it be?’ After swilling the water that she promptly poured, next on the list was a gin and tonic with lime… perfect. There we were, only really having know each other for a few days in Tashkent, the dust bowl Capital of Uzbekistan, standing around yabbering on like we’d all known each other a lifetime. We settled in to the lushly comfortable room provided, showered and felt fresh and clean ready to get out on the scene… of dinner! The modern French Viet cuisine was thrown lavishly down our gullets, the wine was swilled and conversation was richer than the butteriest dish. How is it that with some friends, one never feels the time of separation and merely continues on from whence was left? The plan was to luxuriate in Saigon for a few days, no longer than a week and then head up into the mountains behind the sprawling city, to ride TanNayNay and get some authentic cultural immersion which we felt we’d missed in Cambodia (you can read about our real but not particularly cultured experiences HERE). In Vietnam we felt as though there was more of a chance to learn the language, to make friends in far away places and cover some distances that are well of the tourist track. 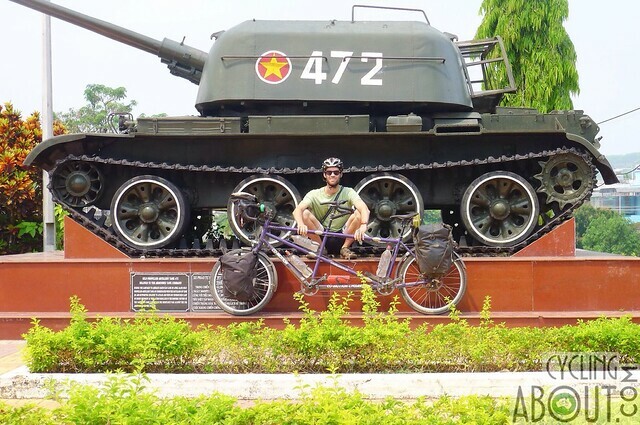 The best laid plans come unstuck, and Kat’s back, which had been bothering her for a good whack of time both off and on the bike, decided that Ho Chi Minh with all her frills, fancies and friends, was the perfect place to come well and truly undone. The pain increased even after remaining rather immobile for a few days and so the first doctors appointment was made: Family Medical Practice would become Alleykat’s second home for our remaining time in the city. After an MRI that would have been claustrophobic for even the most normal person. Luckily Kat is anything but “normal”, so survived and had a pretty rockin’ time inside the chamber, the machine really does just sound like a fairly enthusiastic DJ playing ear-piercing minimalist trance! With a flash, the results were in: spend lots of money on physiotherapy and other treatments. Oh, ok.
Kat hooked up to drip to get the pain medicine straight into her blood! Fortunately, we were totally spoiled in Saigon. Matt, an English/London native living with his full-time primary school teacher partner in Ho Chi Minh City, is now an author and is smashing through his second book. To keep his monstrous brain busy, other than working here and there at an advertising firm or tutoring kids from Diana’s school, he’s been frequenting the Mekong Merchant – a cafe with excellent coffee and as much outdoor or air-conditioned comfort as you can shake a very long stick at. He provided a cocoon for Alleykat to nestle in while in the city, there was copious amounts of coffee drunk and enviable amounts of humour and intelligence divulged. Also living in their Ho Chi Minh harem were Catrin and Kathy Brown. Catrin, whose schedule is busier than most CEOs’ and whose rhetoric is faster than quality time spent with their families, also chimed in on the rendition of ‘keep Alleykat in total luxury’ – she lent her ear, her phone and her excellent eye for desserts to us while we stayed in what is one quarter her house. We met Cathy Brown a few days in – she’d obviously been busy too, a teacher is always busy of course, and she made us feel welcome and well cared for as well with movies, gin and tonics and delicious food sharing. Alleykat are just lucky ducks, there’s no doubt about it. With the fantastic four we dined and drank out a few times, meeting the exquisite Allistair (who was also monikered ‘Al’ causing occasional double takes and confusion). Al, who shall henceforth be known as Allistair for the remaining blah of this blog, decided after knowing us for all of a few hours, that in Diana and Matt’s absence for a few days upcoming, we could instead stay at his house and continue the life of kings and queens that we’d become rather accustomed to. We moved into his fourth-storey apartment quick as a flash, and realised that hard work internationally certainly paid off! Allistair has a chef who cooks for him once a week and he generously paid her to come and create in the kitchen for us too. As we ladies of life’s luck spent the day writing, reading and playing in our new apartment, Thao cooked up a vegetarian storm. No fewer than 24 perfect packages were left for us, superbly spiced samosas sat steaming, beckoning us with their scent. A curry too was left prepared and not a single dish to wash. We chatted with her on and off throughout the day, feeling wonderfully spoiled by her charm as well as her poise as a cook. I think we well and truly scared the cleaner, who popped her head in right at the wrong moment: we’d just unpacked everything from our panniers in preparation for a clean-out. She looked around, eyeballs unable to take in the sheer sprawl of mess before her and backed out once we’d suggested she visit on our last day instead. Kat ‘looking after her back’ at Al’s pool. Not a bad way to do it! We also stuffed our faces variously with friends of friends the charming Ruth and Anys, Lauren, Paul and accidentally bumping into a ferociously larger-than-life character named Dasha. After a little over twenty months, we reunited with Alee’s mum and dad, Anna and Iian in the first restaurant we’d visited with Matt and Diana. 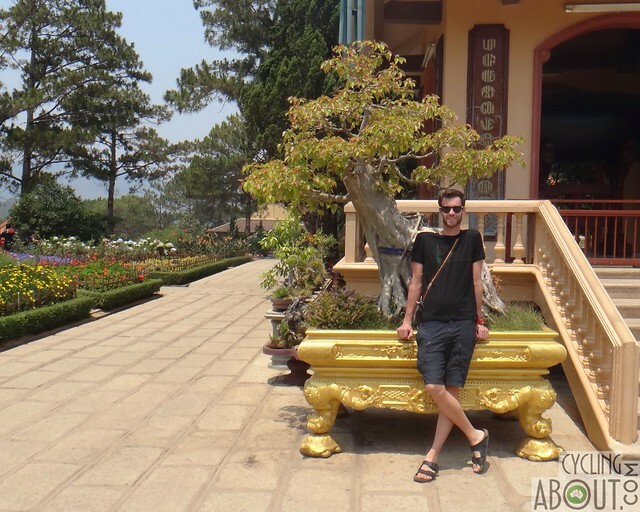 Our paths were originally on course to cross in Dalat, after we’d ridden there however, given that we’d not gone further than a few kilometres here and there around District Two in Saigon, there we were, together again and eating delicious food. Alee’s parents came to visit us for the first time in almost two years. Iian and Anna were visiting Vietnam not only to see us Alleykats, but to make a delivery of books, clothes and vitamins to the children of an orphanage in Na Trang. A colleague of Iian’s is the part-founder of the newly reinvigorated, refurbished orphanage and connecting school. Al’s parents got to spend time with the kids and learnt about the projects happening in and around the orphanage. It seems their trip was partially as pack horses; carrying oodles of stuff for the kids and for their kid too! Alleykat received a pharmacy’s worth of medications and some new clothes including knicks and tshirts. Somehow we go through clothes like we’re wearing them everyday… oh wait, that’s exactly what we do. Perhaps you’ve noticed our attire in photos in the blog and website: we essentially have three pairs of clothing that we recycle day in, day out. A few days later, we’d stayed at Allistair’s place and had returned to Matt and Diana’s and it was time to say farewell and hop on a bus to Dalat. Dalat is a city set in the hills of South Vietnam, the bus ride up was long: the 300 kilometres took eight hours. The roads weren’t perfect, they were busy and puckered with roadworks and potholes. The speed limit varied from 20km/h to 80km/h and the bus seemed to lumber along the roads as though it were asthmatic. We made it however, the pink bus rumbling away down the hill behind the Sinh Tourist bus stop as we spied Alee’s mum and dad perusing the street just near us. From there we spent a good amount of time wandering the winding, narrow, rubbish-ridden streets of Dalat, enjoying the vegetarian cuisine offered at vego and non-vego restaurants, drinking coffee at the quaint tourist-catering cafes and having rainbows of colour reflected on us from the lush fruit and veggies on display in the central market. 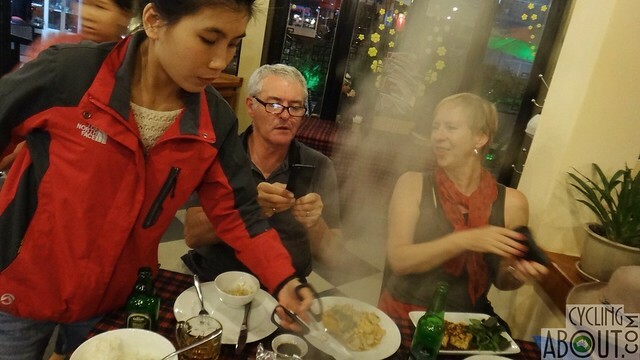 Battling the steam of a Vietnamese hot pot in Dalat. We visited a number of tourist attractions, the best of which would be disputed casually between us afterwards. Alee’s favourite, gosh knows why, was the crazy house: quite literally what it sounds, a house so crazy, so built up and out and upside down that people come to admire the sheer craziness of it. As Al noted, it would be tacky if it was just one little building in someone’s backyard, but instead it was an entire block’s worth of rooms, buildings, walk ways, ladders, statues and colourful kitsch decorations. 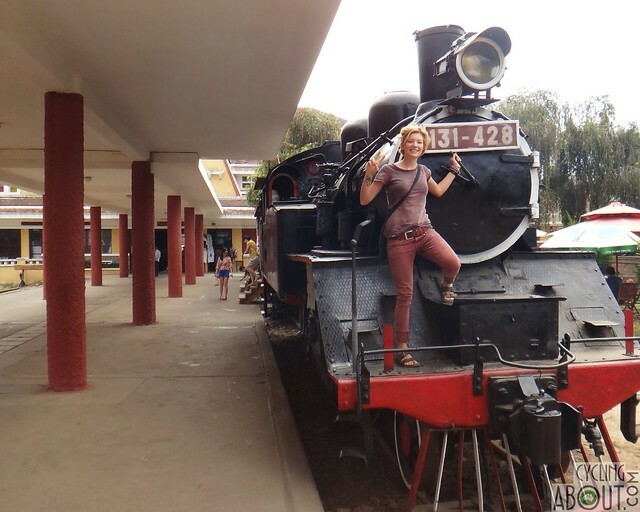 Kat’s favourite was the train, of course, a diesel engine pulling three stylish carriages a few kilometres along the rails, through acres of greenhouses, cafes of real Vietnamese life and narrow homes full of people just living. It heaved through streets, alleys and under bridges to our next touristic destination: a garish temple with a dragon constructed out of beer bottles. Iian’s was the chairlift from which we got a really quiet private viewing of a section of forest, the birdsong was able to be distilled easily from the surrounding hush of the pines caving their spiney fingers around our little sky-flung cabin. Anna’s was the various temples visited along the way: a few with resident monks and others with only statues and silence. … and Kat a bit crazy at the train station! 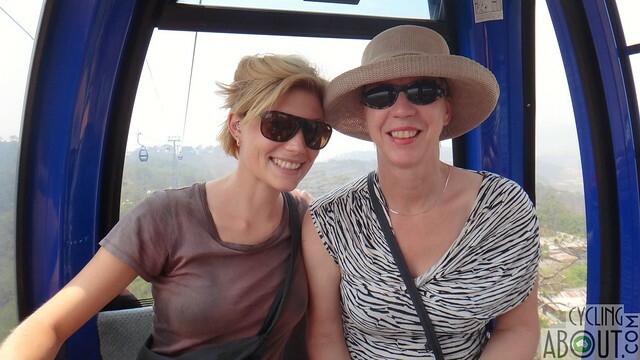 Anna and Kat on the chair lift, Dalat. Various sights from the Dalat region. Bonsai trees, surprisingly common in Vietnam! We all enjoyed the company kept on the day trip that we took up to see the surrounding scenes. After viewing one Lat house (a traditional house form, one of which our driver located and we hopped out of the car and then back in after realising we were just getting in the way of regular real life activities by poking our noses in) we headed up to a mountain that could only be accessed by hiring one of the stylish teal four wheel drives at the base. We met My (said Muee) and her partner Lam who were wanting to share a 4×4 because the cost is standard for hiring the vehicle, whether you have two or six! We felt the low four kick in on our way up the windy mountain and then too soon, we had summited and were allocated 30 minutes (and no longer!) to check out the scenes. As the clouds were thick and tightly knit around the fuzzy extents of our sight, we admired the immediate visions available to us: people posing with a camouflage army vehicle, brandishing fake guns and wearing full combat gear. 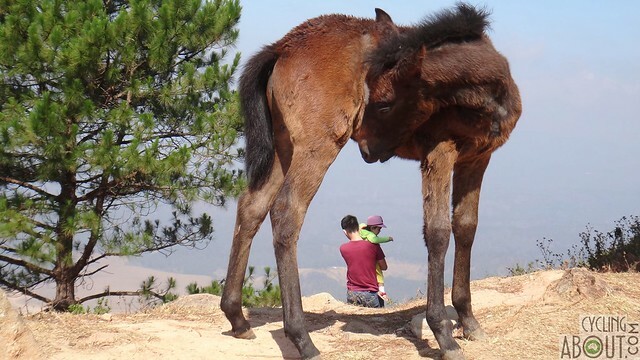 Of course there was also a more natural option: a mother horse and her tiny foal (or giant depending on your size) whose legs she didn’t seem to be in control of, you could see her thinking: ‘what are these long, shaky, skinny things propping me up?’, and ‘where are my thumbs, damnit? !’ We got on so well with our new friends, especially after they agreed to ask the driver to stop for a moment on the way down the mountain so that we six could go bush-bashing for a moment, that we asked them if they’d like to have dinner with us back in Dalat that evening. Feeding a young foal that barely knew how to stand. Hot Pots were on the menu that evening, which were digested with great gusto, although the flavour perhaps wasn’t one we’d go searching for again. It was excellent to spend time with our new friends. Dalat also had within her bountiful streets a vegetarian restaurant which provided us with incredible vegan versions of every dish we’d excluded ourselves from before: namely steamed buns! It is surprising, we’ve noted throughout two supposedly Buddhist countries (both Cambodia and Vietnam) just how much meat is eaten, where one occasionally gets frowned at for slapping a mosquito to death, why there are so few food options without meat. It’s either great chunks of gristly animal, stock made from bones or processed meats cylindrical in their new rubberised form – it’s hard to escape. And too, like in many other countries we’ve travelled through, the very idea of not eating meat is baffling. Easy to understand perhaps in Central Asia where meat, milk and bread have been the staples of the people for as long as histroy’s memory but in South East Asia where even in non-practising parts of the nations, a plant based diet has been normal forever, whether it be due to poverty or religion, why is vegetarianism or veganism so unusual? Iian is a bird watcher, a birder, a twitcher, and some how got us all keenly noting birds around the town; an osprey crashing through the water’s surface to procure a fish from the shallows, a sweep of swifts and swallows gulping down the buzzing resident insect population humming above our heads and of course feeling sorry for the thousands of captives along the streets – the beautiful wild birds held in cages far far too small for their wings, let alone their desire to be flying free in the skies. Part of our plan with Alee’s parents was to spend some time hopefully surround by birdlife in Cat Tien Mational Park. Cat Tien is one of the many national parks in Vietnam, and is defined as a biosphere due to the sheer diversity of flora and fauna living within. We decided on a three day, two night package where we’d go on some nature walks, a night time flash light exploration and spend a majority of our time at a place called Crocodile Lake. On our four-hour way there, the bus jolted us around a fair bit but we thanked our lucky stars that it was that bus, with that driver because we’re sure no other driver would’ve stopped to wait for our taxi to chase him up the road and retrieve one of the bags we’d left behind! The taxi took us deep into the countryside, the roads got narrower and the people were riding bicycles and not just scooters. The roads weren’t only paved with tarmac but alternatively with dirt and potholes or great tarpaulins covered with corn drying in the heavy sunlight. We reached the riverside entrance to Cat Tien and were a little dismayed to see three huge busses at the waters edge. The trees are big around these them, here places! Iian picking up a new ‘twitching’ recruit, Kat. The national park welcomed us with a chorus of trilling cicadas, their strings hemming a pattern into our bodies. We were taken to two separate huts and agreed to meet up in an hour’s time to go on our first nature walk. Alee’s body must have object to the bus stop lunch we all imbibed and decided it was time to eject it all, fast. He spent the next four hours vomiting at voracious speeds (perhaps with antivoracity) while Kat went on a slow-paced jaunt in the forest with Anna, Iian and our diminutive guide Duyen. Duyen just happened to be a bird watcher too, making throaty gestures into the canopy to draw out some feathered friends. Iian was rather excited, adding to his impressive internal apiary left right and centre. The stand outs of the walk were Duyen himself, knowledgeable and perfectly at one with the surrounding paradise, a couple of enormous trees and the female and male of the blue-rumped pitta. The female had been an easy pick, there were wildlife photographers shooting her from tiny camouflaged tents, altogether as ridiculous as they sound, she was hopping about pecking at the meal worms the photographers had lured her with – a much frowned upon practise in the birding world. Lucky Kat, nipping at Duyen’s heels further into the dense forest got to see the much more beauteous male while Alee’s folks missed out, his rich azure shone like a turquoise sunbeam only fleetingly once he’d been disturbed by our presence. The walk back along the river and the road were much cooler, a snake bird fwapped and flapped overhead just as the cicadas began their noisiest movement. Later that evening we four would get amongst these noisy wee beasties once more, in a truck this time, and spend an hour foraging in the black jungle with a spot light. Dinner was an interesting affair, the package deal obviously didn’t cater for vegetarians often and thus a very meaty meal awaited us. Alee had recovered but the food didn’t do him many favours. The same story dawned with the next morning: beef-laden breakfast noodles were a rather nauseating start to the day, even for the carnivores amongst our four, alas, not much else was on offer, no fruits or vegetables so coffee and noodles were slurped as appreciatively as possible. Unbeknownst to us until the last minute, we could only bring in what we could carry and so a minor omnibus of daily needs was collected in a hurry before we began. 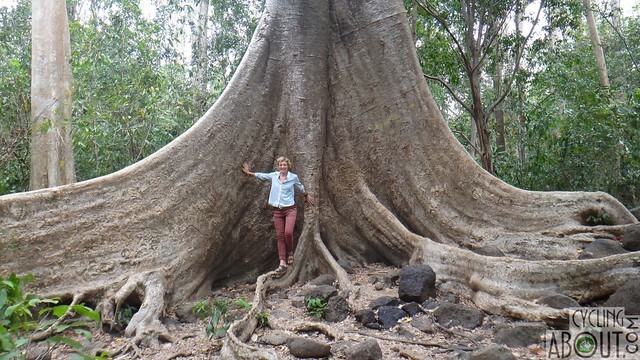 We were driven deep into the jungle and walked the five or six kilometres to Crocodile Lake. The Vietnamese couple we walked with were chatty and youthful, stopping to pose for Instagrammable photos along the way. Our guide, Trong, fittingly the only other bird watching member of Cat Tien staff marched us along, worried that our pace wouldn’t be enough to allow us to arrive before sunset. His worries were unfounded, but the scene our timely arrival allowed was magnificent; a single wooden villa sat at the lake’s edge, with no other development in sight. The crocodiles are a re-introduced species, the original families were hunted to extinction, but they’re around – puddling about at the edge of the water, surfacing with eyes, nostrils and tail spines as the best indicator for their size. They grow up to three metres here, we were told, but it wasn’t the reptilian life which took us, but the avian variety. 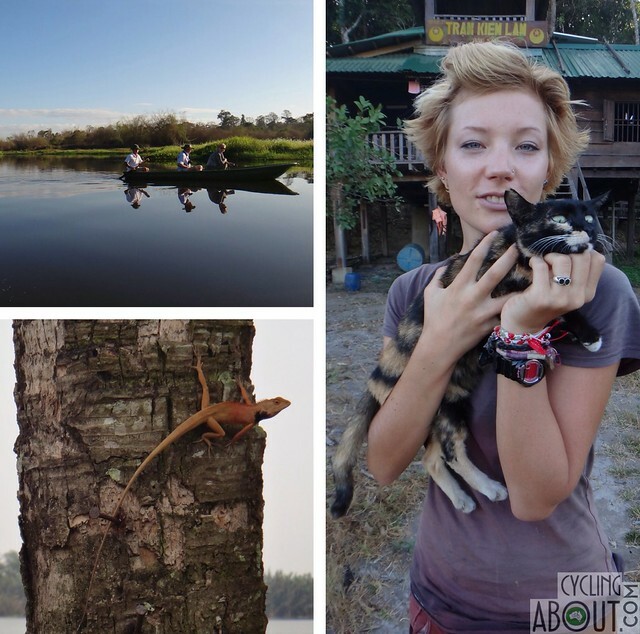 Various sights around Cat Tien National Park. Our place was perfect for a spot of birding: there were ospreys, a grey-headed fish eagle, three species of kingfisher in all their chromatic variation, green pea fowl, bulbuls, swallows and swifts and all manner of winged beauties. Alleykat managed to source the only feline friend available and spent a good deal of time purring with her on the deck. We could have stayed much longer I’m positive, however, after an early morning boat ride where we were paddled two-by-two around the lake just after sunrise, we had to saddle up with our gear and hop back on the trail. The walk back was once again festooned with birds aflight, in chorus and elusive amongst the dense leaves and vines. A Russian-style army truck took us back on our bumpy route and we were soon waiting on the main road for the Saigon-bound bus to pick us up. Once back in the bustling noisy city, it was time to bid each other farewell again, for only another seven months this time, from here Iian and Anna would head down to the Mekong Delta for some more cultural immersion and we would bask a little more in the ever-glowing beacon of light that is the Matt and Diana powerhouse. Alleykat to disband: Alee and Kat alone? Three weeks had passed by down in the south of Vietnam, and that left us with only a week on our visa. We wanted to cross into Laos half way up the country, however the border was about 1500km away. It seemed inevitable that we would be putting ourselves on a series of long distance buses, but that didn’t mesh well with Alee (or Kat). 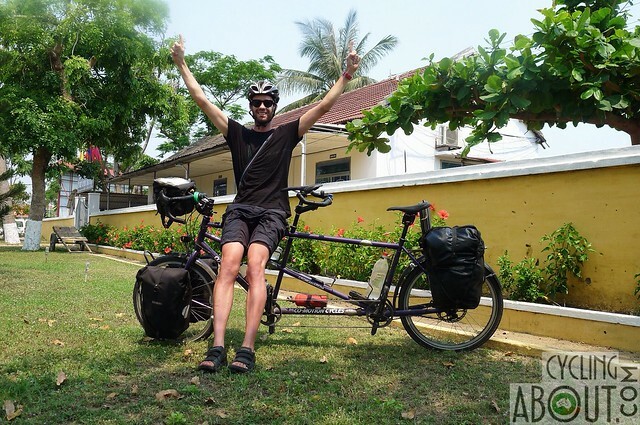 Alee has competed in many long distance cycling events in the past, and calculated that the shortest possible time he could cycle 1000km up to Hoi An would be about 96 hours (four days). He would ride Tan-nay-nay on his lonesome, with all of our gear so that Kat with her recovering back, would have as light load as possible on her 24 hour bus ride. We advertised the race on Facebook, and Alee seemed to get about 75% of the support. 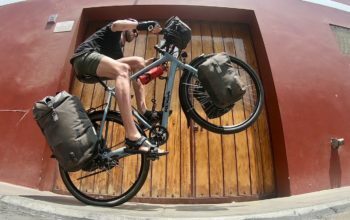 In order to win, he would have to cycle 250km per day on a tandem bike weighing between 50-60kg through the mountainous region of Vietnam. It was going to be a close race ONLY if everything worked in his favour. After seeing so many doctors that her head started spinning, Kat’s prognosis was to perform various stretches and yoga daily as well as visiting an extremely lovely physiotherapist, Dr Talya Shuhami, and the very worldly chiropractic specialist Dr Wade Brackenbury. 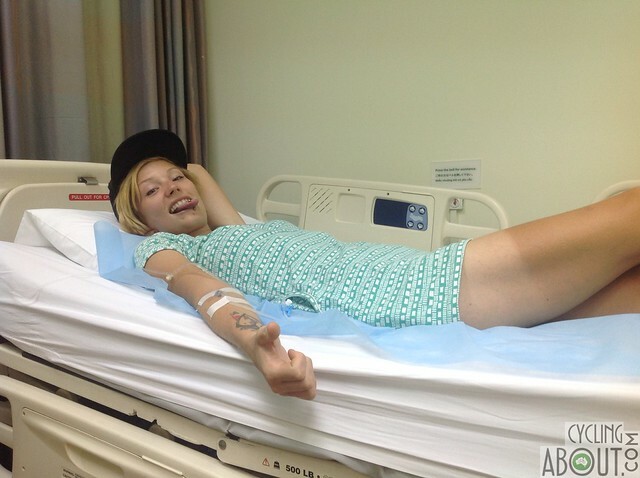 Kat was also advised to stay off the bike for a good amount of time, so unlike the reaction when given very similar instructions in Germany, Kat decided to follow the doctors’ orders. Alee however didn’t want to be penalised by having to take busses around the world instead of riding around the world and decided to ride up to Hoi An while Kat bussed. All too soon, it was time for the split: the start of what would be our longest separation in years, the evening before Alee left we dined richly at Hum, a vegetarian restaurant fit for kings. We four spent the later evening with Paul, Catrin and Allistair talking and laughing and can guarantee on our part, wishing that we didn’t have to leave these friends behind. A frightfully early morning Alleykat farewell was hugged out at the gates, hearts dancing as one in our united chests, and then Alee was gone and Kat was still there. From there on in, each evening, late and with unpredictable strengths of Internet, Alee and Kat corresponded via quick chat sessions. Kat felt lucky and unlucky, a bit torn between wanting to be back on the bike and pushing the boundaries of bike touring and wanting, greedily, to spend the last day together with Matt and Diana. The last day as a party of three was wonderful, after a strong coffee session as a foursome with new friend Paul, Diana took Kat to a secret Eden, a hidden paradise on the river with a ripe green-tiled infinity pool, shimmering with viridity, where deck chairs were perfectly positioned for sun bathing and reading of books in gently dappled shade. We made friends with Nigel the Tree Loafer (a small iguana who loafed about with us, him aloft a palm tree, us horizontal on cushioned chairs) and generally had a girly good time. That evening, after a quick KattandMattchatt sesh, dinner was The Architect’s House (visited accidentally-on-purpose, as far as I’m aware, barging in on half of Allistair’s date). The food was lush, as it had been at the various other worldly restaurants frequented over our few days back with the crew, and the after party perusal lasted late into the night. Given it was school holidays, Diana and Matt were off to Thailand to visit Diana’s parents and so at 7am the next morning, Kat had to bid another two of her favourite people farewell out the same door. Catrin kindly invited her to stay the extra few days in the interim between Alee leaving and meeting Alee in Hoi An, giving her complete freedom and inviting her out with her mates both nights. Kat saw both her physical therapists for the last time and admittedly moped around District Two during the days until she could flourish amongst the lovely people sharing their time with her. The last evening was a busy one, having made firm friends with her physiotherapist, she’d invited Kat for a Friday night feast at her place and Catrin had followed up this offer with drinks at the bar Ruth’s boyfriend Anys’s band was playing at. The new friends feast was tasty and warm, the kindness of relative strangers made my evening full and joyful. A few hours later Kat was in Saigon central, District One, at a bar named DeciBel. Fast friends are a luxury we’ve been allowed many many times throughout our 20 months on the road: real, tangible friendships have blossomed from the hasty planting of seeds along the way. 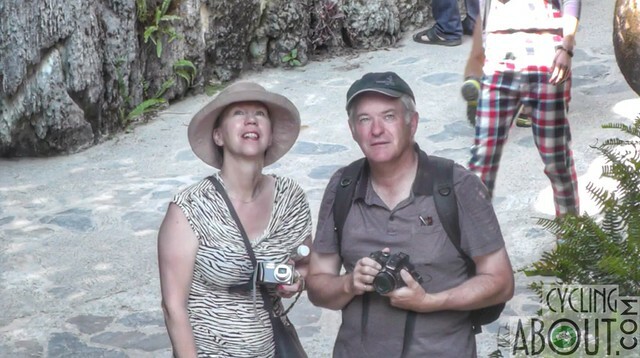 One friendship we have both tended to and had lovingly nurtured in return is that of Will and Selina. The Aussie/Swiss couple have frequented our journey like young Armedeus Mozart on his father’s piano – wherever possible – we’ve met up and struck a chord in each other’s lives. 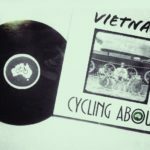 By some sheer stroke of good luck, Will add Selina had ridden their bikes down Vietnam in perfect harmony for my last evening in Ho Chi Minh, we spent a few hours together listening to Anys’s band The 67s strum away jauntily in the background. I introduced Catrin to my old friends and we four managed to stay until a rather unreasonable hour. In the taxi ride home, I felt lucky, even when the driver wanted me to swap spots by clambering through the vehicle in motion to sit at the front with him (I resisted). At 4am Kat was up cooking my last porridge for a while. By 5am we were having final hugs; this was the FIRST time in almost two years that we were setting off apart. With emotions running high, and tears in our eyes, I put the pedal down and rode out of Saigon. The first 100km were relatively flat and avoided the heat of the day. I had arrived to this point within five hours and was confident everything would be fine for the rest of the day. I purchased a big Coca-Cola to keep up the sugars, caffeine and carbs – it seems to be a bit of a wonder drink when endurance riding. I managed to shoot out of Tan Phu with 10% of the ride complete and only 5% of the time passed. The next 100km were hell. The first problem was the heat. After 10am, the temperature in the sun soared past 40 degrees celcius. When you’re spending over 12 hours cycling under direct sunlight this hot, dehydration poses a high risk. 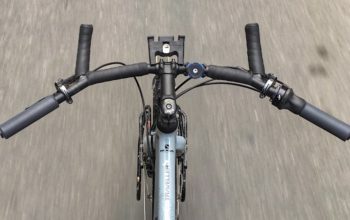 Every pedal stroke gets harder and harder as your body tries to keep itself cool and composed. 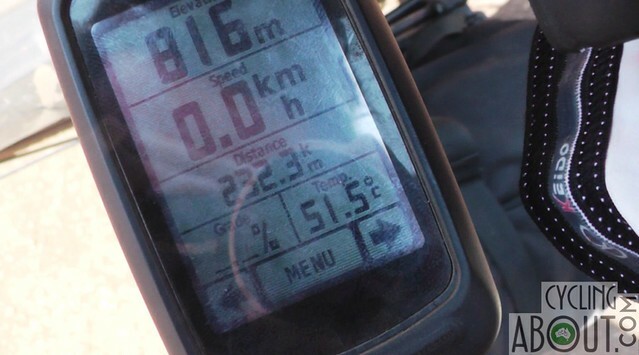 Perhaps a bit warm for a 200km+ bike tour! The second problem were the short, steep climbs. 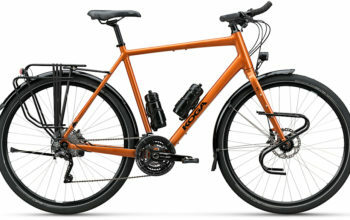 On a graph they looked like nothing, but on a fully-loaded tandem touring bike they were everything. My average speed up many of the climbs was well under 10km/h, and in combination with the incredibly hot sun (which made cycling extremely difficult) the air simply wasn’t moving fast enough past my sweat to keep me cool. Not only this, but there seemed like hundreds of these short climbs which weren’t doing wonders for my legs! The third problem were the road works. Long sections of dusty, dry, bumpy road made cycling far slower than it should’ve been. I had my throat filled with dust over and over, and to throw fuel on the fire, trucks and buses were passing within mere inches bringing visibility to almost nothing. Then with dust in my eyes, they would blare their horns to ‘let you know they’re coming’ – the horns were deafening. By 1pm, I couldn’t take it anymore. Three hours had passed and I’d only done 28km. I pulled up at a roadside stall which had 20 hammocks set up in the shade for people to relax in with an ice cold drink, while the heat of the day beat down. The sun was still hot two hours after I put my feet up in the hammock, but I’d never make it 250km this day if I didn’t get back out there. One regret of this challange is that I couldn’t really stop and spend time with people. So many kind Vietnamese gestured that we should have a drink together at the next cafe, or wanted to stop for a chat, but I had to keep my head down and my momemtum going. By nightfall, the temperature was finally comfortable again. It was SO MUCH easier riding without the sun, which seriously made me consider whether I should go nocturnal. Up one of the climbs in the dark, while I was going approximately 7km/h, a loud BANG came from not more than 5m in front. It sounded like a cannon going off, but was actually a truck tyre exploding on a vehicle coming down the hill! With ringing in my ears, I soldiered on to a restaurant with lots of trucks parked out the front, as this is always an indicator that the food is good (and it was!). Most people cannot grapple with why I would be on a tandem bike. 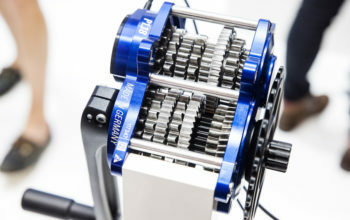 Villagers would press and twist the carbon belts with intrigue and often try to swing a leg over, before realising the bike weighs a tonne and quickly jump off. People love to look at the Garmin GPS, as well as the maps and notes in the plastic sleeve on my handlebar bag. Upon departing the restaurant, the owner came out and even jumped on the back of the bike. I could sense a trend occurring as the guy behind was laughing and cheering. By days end, I had covered 220km over nearly 18 hours (including rest), which unfortunately wasn’t quite enough to get me to the quarter way point. Saddle sores! Argh! I hadn’t really noticed saddle discomfort on the first day, but it was certainly noticeable on the second. The long hours in the saddle the day previously, in combination with a few weeks off the bike had really made a mess of my backside. I had only brought along nappy rash cream which unfortunately didn’t do much to help. I decided to try and get off the roadworks-heavy road, in favour for some quiet country back roads. This was a blessing in terms of less dust, less traffic and less horns, but still had its fair share of rough sections. A few hours in, in a very remote area, a soldier waved me down. He wanted his photo taken with me and it HAD to be perfect! The soldier then waved down a passing motorbike and got the poor guy to take photos of us together. Every time the photo was taken, the soldier would look super disappointed, some firm words would be said to the motorcyclist and we would be posing again. This went on for 10 minutes until the soldier was satisfied with his picture! Alee hanging out with a young Vietnamese soldier. The road was finally becoming nice. Previously, there were dusty fields and houses, but now there were trees on both sides and a bit of shade. This didn’t last long, as the detour ended and it was back to trucks and dust. I chose not to ride between 12-3pm which gave me time to catch up on missing sleep and respite from the extreme heat. While I was cycling, the Garmin showed an almost unbelievable temperature of 51.7 degrees, which although wasn’t the air temperature, was the temperature in the direct sunlight! The highlight of the day was when someone handed me a mango out of the window of their van – it’s small things like this which, even though you’re doing it pretty tough on the road, still put a big smile on your face. Late in the evening and after another 220km day on Tan-nay-nay the tandem, I met a girl who not only spoke good English (very rare in rural Vietnam), but who made me two wonderful bowls of Pho (noodle soup). She gave me directions to the nearest hotel, however after cycling in circles for 20 minutes, I simply couldn’t find the place. To my surprise, she later pulled up next to me on her motorbike and asked if I needed help finding the hotel. Yes! As you can imagine, I was really knackered from the ride and needed to get some rest, so unfortunately declined her request to hang out somewhere. It is these time constraints that allow one to miss the best experiences of travel. The saddle sores are WORSE! Argh! How is this possible? Sitting on the bike seat is so painful that nothing else enters my brain for the whole next 220km stretch. That isn’t entirely true, I did think about: how much I didn’t want to be cycling in the heat, how much I missed Kat, how many white/yellow butterflies were getting about (it must’ve been millions), how horrible the roads were, how dusty the roads were, how much I hated filling up the tube that had a slow leak, and how barron the landscape was (the Americans sprayed Agent Orange right across this region to kill the trees and hence expose the Vietnamese forces). I’m not ashamed at all about saying that my eyes welled up with tears on numerous occasions – the emotions were running so high while I was having such a rough time (literally) without Kat. I somehow made it past 200km, although it was no doubt the toughest day I’d had since we’d left Amsterdam in 2012. The saddle sores had meant I simply couldn’t sit on the seat properly, if at all. 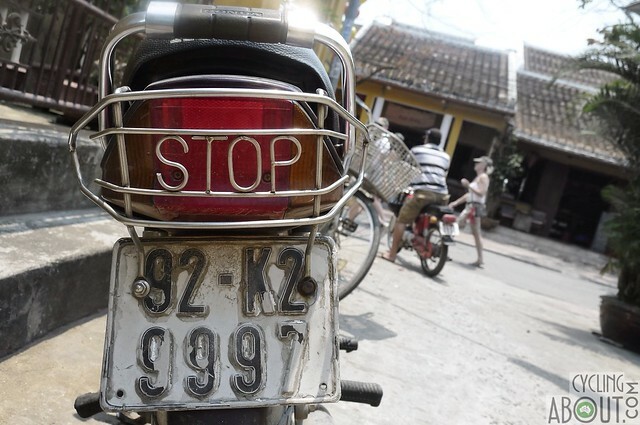 I was even beginning to convince myself that it wasn’t possible to get to Hoi An first, with over 340km left to go, some big climbs in between, horrible saddle sores and only 30 hours to get there. While resting in a hotel I came up with a plan to give it a go. I would need as much time as possible, would swap Kat’s seat for mine (to give my bum a change), would wear two layers of Lycra padded shorts and would put a double dose of nappy rash cream over my raw skin. 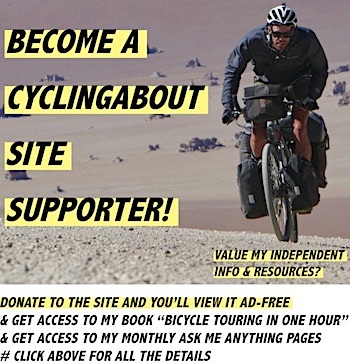 I asked on Facebook whether people thought I could ride 340km+ over the next 24hrs, however the response was far from enthusiastic compared to just three days prior. Given my average speed of around 15km/h, I would need to ride for 22 hours out of 24 in order to make it to Hoi An in time. 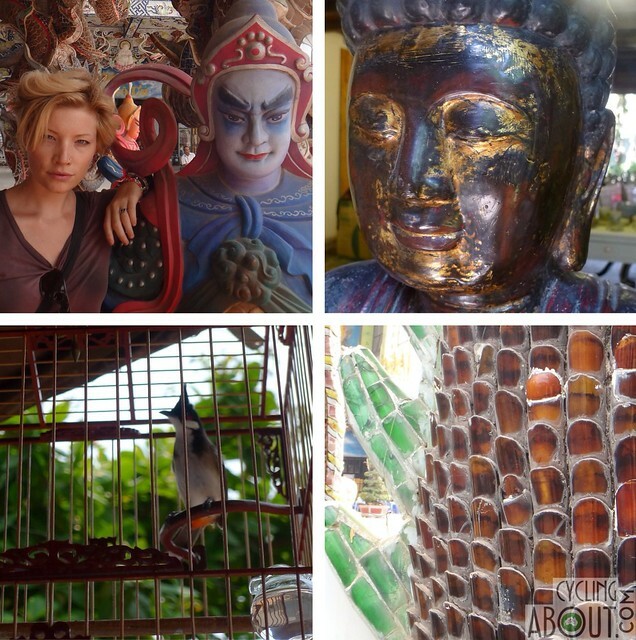 With only 24 hours left, Kat was jumping on a bus to cover 1200km from Saigon to Hoi An via the coastal road. I was already two hours into the ride by this time and was feeling suprisingly more comfortable (given the saddle change and double knicks) than the previous two days. My plan was to ride 100km at a minimum and if need be, would find a local bus to take me the rest of the way. Breakfast was at a little roadside stall in a quiet rural town. The proprietor and her one customer thought it was really funny how tall I am, standing next to me and pointing out our differences in height. They turned out to be such lovely people however, as they split the bill and paid half each! A very kind gesture from people who really didn’t have much. With a big smile on my face, I was knocking over the kilometres. The first hundred kilometres were the best I’d felt since setting off from Saigon. The roadworks had finally ceased, and the traffic volumes were really low on this road. In this region the sun was much more moderate than the days prior, so everything was actually looking good, however with well over 200km left, it was not going to be easy. I stocked up on food and had a big feed around midday. It crossed my mind about how lucky I’d been with the street food, feeling a mild stomach ache one afternoon, but nothing that would stop me riding. Alee hanging out with Tan-nay-nay and a tank. The undulating road followed a river for the next 60km and there was almost no wind. The children in the villages were all smiling and waving which certainly helps you to not get stuck in your own mind. Traditional housing spread throughout the area and I finally met my first tourists since leaving Saigon. The tourists were on motorbikes and had english speaking guides riding for them. 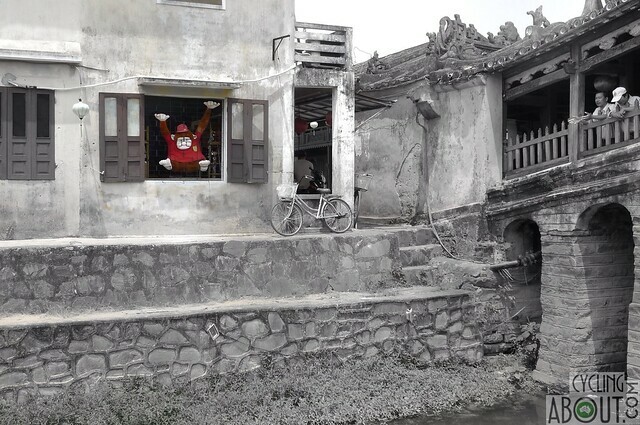 One of the guides asked me where I was riding (Hoi An) but told me it simply wasn’t possible to ride a bike there today. He seemed to think it was 230km away when my GPS was saying just 170km to go. He then started telling me that the mountain range coming would be too steep and too difficult! Motivated by the fact that a bunch of people wouldn’t believe I could do it, I pushed on. Not long later, thunder started sounding and a big rainstorm closed in. The raindrops felt amazing after the dry heat of the previous days. I pulled into a restaurant to wait out the close-by electrical storm, as I had visions of the fact that my friend Jesse Carlsson had been blown off his bike by a close striking lightning bolt! Once the rain had reduced, I had to climb 700m in elevation with an average gradient of 10%. This was the most beautiful part of the entire ride, as the mountain road went up through many incredible valleys, however it was pretty tough going given I’d already put 180km into my legs. The odometer was telling me I wasn’t riding more than 6-7km/h! Numerous offers were made from people in villages to come inside out of the rain, but I knew I couldn’t stop now. Trucks had broken down all over these steep roads, presumedly from overheating. One group had even set up a bonfire behind their semi-trailer truck to make the most of their wait. I really wanted to stop and join. It got dark just as I was cresting the climb. I could tell that the descent was going to be stunning, but unfortunately my dynamo lights were switched on and I wasn’t going to be seeing much other than a small circle of tarmac the rest of the way. With 230km down, I stopped for dinner in a small town. I had been on the bike for more than 15 hours! A noodle soup was whipped together while I helped some children to log into a Disney account (for their iPad game) which was all in English. Cycling out of town, the front tyre lost all of its air! Argh! It was pitch black now and all I wanted to do was get on with the distance. In less than 15 minutes I was back cycling again – it seems there was a fault in my Maxxis tube as the hole was right on the tube’s seam. The next 110km were hard. I was unsurprisingly exhausted and despite the elevation profile looking like it was going down, there certainly was a lot of up. 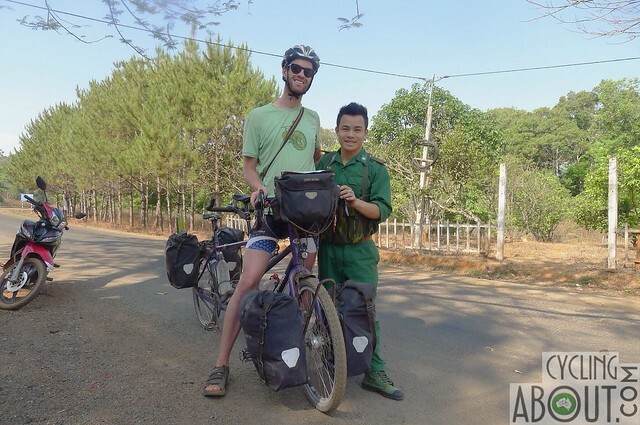 I was riding down a quiet rural road now, with barely anything or anyone about except a giant owl that swooped towards me, perhaps curious why I was riding a tandem with four panniers along a remote section of road in Vietmam. I stayed awake with the caffeine and sugar of my trusty friend, Coca-Cola. I had a few lay downs here and there, but knew it was dangerous to stop for too long, or even to shut my eyes. The road seemed to go forever and the kilometres didn’t want to get counted. The time looked to have stopped too. The graveyard shift was getting tough! Luckily, I was passed by a bunch of logging trucks moving along at a bit over 20km/h. These trucks gave me the motivation to keep going, as I followed behind their bright lights. The trucks set a good speed and gave me something to do, other than stare at the dark pavement. Eventually, the road became good enough for them to drive off on me, but by this time I was super close to the main north-south highway on the Vietnamese coast. Two drunk men sat next to me 25km from the finish. It was almost 3am. They weren’t all too bad to have around; they probably shared the same intrigue as the swooping owl a few hours prior. I had to stand up for the remaining kilometres as my bottom and legs needed a change – it’s amazing that my backside even made it this far! I made it! It was 3:37am when I set up our tent to sleep in a field on the outskirts of Hoi An, after cycling 342km over the last 23 hours. 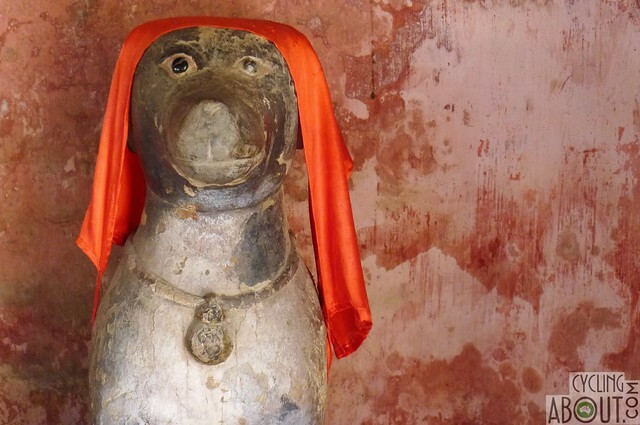 Tan-nay-nay had made it 1000km through the mountains with all of her luggage from Saigon to Hoi An! I was sitting at our hotel by 6am the next morning looking pretty smug when Kat arrived. We shared a big hug and were both surprised by how much we had to catch up on after only 96 hours apart! Alee was the winner! 1000km in four days! Hoi An was the first place we’d encountered (for a good chunk of time) where vegetarian options were on offer from almost every restaurant – we suspected the higher numbers of monks living and practising in the city were the clever culprits. Alee was in need of time to rest after his mammoth effort and so like lazy elephants, we grazed and loafed slowly around the city’s offerings. Other than one morning, two afternoons and an evening spent wandering around the old city, all painted ochre to shine a light their age-old life, Hoi An was a place to eat. We visited a vegan restaurant rated the third best in all of the city but unfortunately our expectations weren’t met by half, or even a quarter! Luckily, the Indian, the other vegan and the variety of modern (partly Westernised) Vietnamese places were perfect. 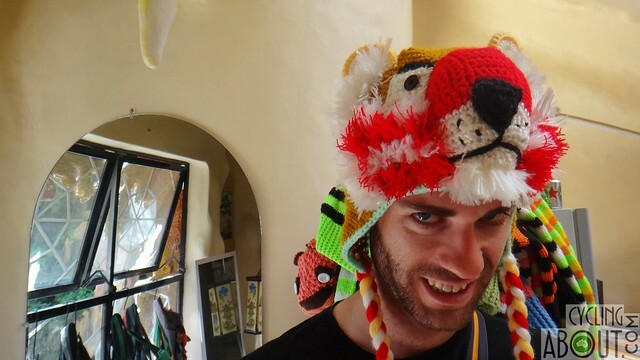 The quirks of Hoi An. A random statue in a Buddhist temple. We soon tired of the hugely touristic city, feeling eyes on us at all times – a reflection more on us as passing gawkers that Vietnam is now a haven for tourists, mostly happy-high-hippy types who want to feel like they’re on an adventure, while still living with creature comforts such as convenience stores, western food stuffs and hot water service wherever they land. Fair enough to grab an eyeful and combine it with a bit of a belly laugh when digesting the various flavours of tourist, we do vary from free-range hairy brown backpack-lugging thong-slapping bejewelled and bejangled chain-smoking hippies to pasty white, lily-livered, umbrella-glued squinty-blue-eyed slobs. Perhaps this is unfair, and the tourism in Vietnam isn’t all paved with familiar faces, complaints and the all-too-familiar hawking of plastic goods by a traditionally over-dressed (for the weather) Vietnamese vendor under a conical hat. 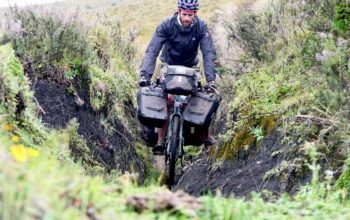 No, the experience one can have off the beaten path may well be literally bumpy as Al found out on his epic ride through the rural countryside, but is equally smoothed by the kind offers and genuine interest in you as a human, not just as a tourist. Our time in Saigon was contrasted sharply again by the ill-at-ease feeling we got further up the coast in Hue. In Saigon we were obviously well tended to by our worldly family of friends in District Two, but equally, the Vietnamese people we spent time with like Lan and Thao were perfectly comfortable to be treated as friends and equals. The feeling in Hue was a bit opressive, the servitude of the Vietnamese people in their own country felt wrong: it should be something we’re used to now, being called ‘Sir’ and ‘Miss’ (or sometimes Sir and Sir, depending on how strongly the caller feels about gender stereotyping Kat’s short hair) but the constant offers of rides from rickshaw drivers and then instantaneous deferral to the foreigners as boss was just uncomfortable. We went walking in Hue, getting amongst the ‘real life’ a bit more thoroughly by taking the tiny winding back streets, than had we taken the tourist route, there was food being prepared on every corner, pale wheat-coloured hats strapped under the chin of five out of six women, jovial, jocular play between kids dressed in starched school uniforms and dirty attire alike. Chinese checkers, or perhaps Vietnamese checkers complete with a bell rung at various stages of the highly-involved game was a common sight, six or seven men crowded around the two imbued with belief that one player was going to win this next move. The old citadel complex was bordered by beautifully bricked city walls, the narrow red slices looked neat and just as strong as they day they were erected. The palaces weren’t as intricate as the ancient houses in Hoi An which had been decorated paintings, lanterns, carved wood delicately imbedded with cowrie shells and often chromatic monks themselves. 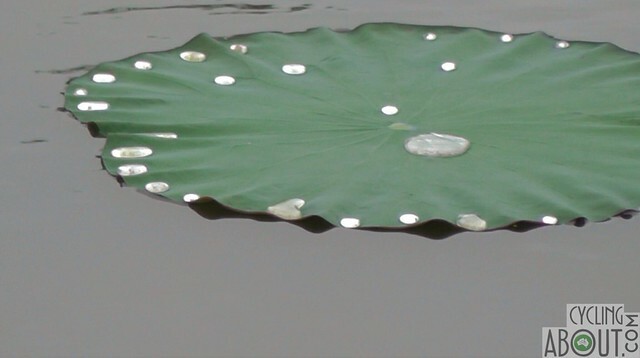 It was rewarding to explore the palaces from the outside, joining the many vietnamese out for a constitutional and tracing our way around the walls, stopping to marvel at the natural perfection of rain droplets on lilypads. The fifth of April, our visa’s expiry date crept around quickly and, after a final fruit salad and yoghurt breakfast at Cafe on Thu Wheels (run a lovely family), early in the morning we were picked up to hop on the bus all the way across the border into Laos. At least this was the plan, immediately it became obvious that our beloved TanNayNay wouldn’t fit in the small twelve-seater van so Alee saddled up and braved the thick Saturday morning traffic and arrived a good twenty minutes before the little van had struggled its way to the bus terminal. It was there that it became obvious that there was going to be some trouble getting TanNayNay on board. 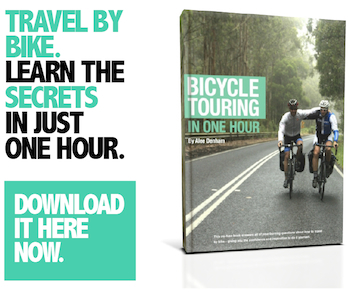 The English-speaking guide, who had lead Alee to the station on his motorbike seemed to suddenly realise just how long our tandem bicycle is. He began raving at us, angrily, demanding why we lied to him by telling him we only had a small, regular-sized bike. Now, those of you who know Alleykat will know that (a) we are not liars and (b) we know our baby TanNayNay very well and would never describe her as ‘small’ or ‘regular’. Plus, this sneaky fellow had already been with Alee and TanNayNay for a good half an hour and so why he claimed her size had suddenly come to his attention is a misnomer. It turned out, after another half an hour of arguing until the little man was blue in the face and Alee was looking fairly Amytal himself, that money would be the only thing that could possibly make TanNayNay fit in the hugely over-crowded bus. Ahhhh, right, of course, a few American Dollars worth of ingenuity had to be parted with before TanNayNay was hoisted up to the roof rungs and strapped in, perfectly housed like a snug bug in a rug. This frayed our tempers further, and what was worse was when it was obviously all a huge act to take money from us as the whole way along the nine hour journey, we picked up more and more people and stuffed their huge bags and belongings unceremoniously into the bus. There were no fewer than six people at one time sitting on tiny red plastic stools and one man perched atop one large polystyrene box taped shut to ensure whatever odorous bits and bobs it was containing securely inside. What a shambles. We held the bus up half an hour to begin with but we stopped so frequently for new and ever more heavily encumbered people to clamber aboard. What a shambles. We got to the border with two new friends from Finland, Jussi and Aino to share insights into the curious landlady who lay behind us named Vietnam. Don’t forget to catch our film, Alleykat Races Vietnam!